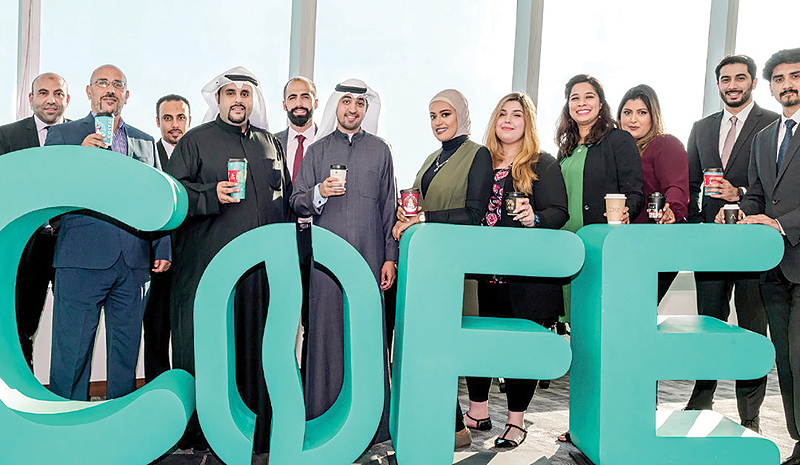 KUWAIT: Kuwait-based COFE App, a coffee-centric marketplace app, announced yesterday that it has secured $3.2 million in their Pre-Series A funding, attracting a multinational cross-sector base of entrepreneurs and venture capital (VC) funds from the Middle East and Silicon Valley. The round was led by KISP Ventures, a fund established by KFH Capital (Kuwait) and Cedar Mundi (Lebanon), Towell Holding International (Oman), Takamul Capital and Dividend Gate Capital (Bahrain), Nizar Al-Nusif Sons Holding and Arab Investment Company (Kuwait). The investment was facilitated by FTL Legal Services. Conceptualized in Kuwait and developed in Silicon Valley, COFE App connects coffeehouse chains and independent coffee roasters with coffee lovers via a seamless, easy and efficient user interface. COFE App was founded in the summer of 2017 by Ali Al-Ebrahim. Early funding for the app was generated by him and other investors who are coffee enthusiasts. The app was beta launched in February 2018. 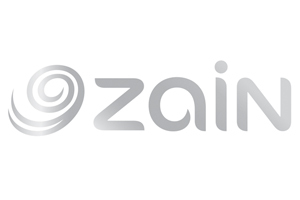 Since then, the app has been featured in Forbes Middle East’s annual list of “Top 50 startups to watch for in the Arab world” and was chosen among the most promising 100 Arab startups by The Arab Youth Centre in Dubai. KISP Ventures (Kuwait): A fund established by KFH Capital to Invest in innovative venture capital opportunities and high-tech startups in technology sectors. Cedar Mundi Ventures (Lebanon): CMV is a Lebanese venture capital firm investing in international technology startups, having substantial economic presence in Lebanon and growth opportunities in the Middle East and in Europe. CMV funds best-in-class technology/digital startups, seeking expansion capital and support from CMV group’s resources to access the Middle East and European markets. CMV is the VC arm of Kuwait Holding group, a leading principal investor, asset manager and tech-driven conglomerate based in Kuwait, with listings on the Kuwait and Dubai stock exchanges. Nizar Al-Nusif Sons Holding (Kuwait): A strategic investment company, Nizar Al-Nusif Sons Holding is based in Kuwait. Headed by Mohammed Al-Nusif, who is the current CEO of Qualitynet, Kuwait’s leading internet, data communication and smart solutions brand. Mohammed also serves on the board of National Investments Co., Kuwait Sporting Club and is a member of Young Arab Leaders. 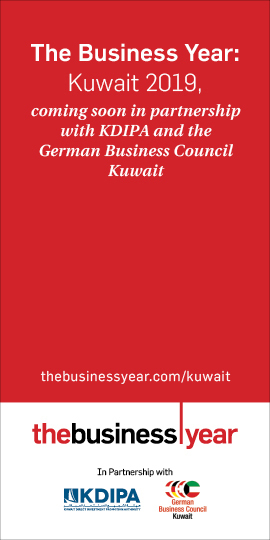 Arab Investment Company KSCC (Kuwait): AIC was established in Kuwait in 2006 with a capital of KD 15 million, is one of the leading investment companies in Kuwait. AIC is a full-fledged investment company, regulated by the Capital Markets Authority as well as the Central Bank of Kuwait, and specializes in corporate finance and wealth management services, as an independent, knowledge-based and result-oriented finance and investment company. AIC operates as sole investor, investment partner, wealth manager, as well as corporate finance service provider, and is widely known for their integrated approach which fuses the market realities with proven and state-of-the-art strategies, leading to optimum performance. Towell International Holding (Oman): Investing as a group is Towell International Holding. The Towell name has been around for 150 years. Today, they are a fifth generation family business, making them one of the oldest family businesses in the region. Towell International Holding is in multiple industries including FMCG, manufacturing, electronics, and telecommunications to name a few. Takamul Capital BSC (Bahrain): Takamul Capital is an independent private investment and multi-family business advisory firm that also operates as a holding structure for the founding family’s investments. Established in 2010, Takamul’s strong roots and links into the Middle East, Europe and Asia and its strategic global relationships allow the firm to cover multiple sectors including industrials, automotive, real estate, technology, healthcare, oil and gas, and hospitality. Dividend Gate Capital (Bahrain): Dividend Gate Capital (DGC) a private equity investment company established in Bahrain, targeting investment opportunities in different sectors in the region. Saqer Al-Maousherji (Kuwait): Investing in his personal capacity, Saqer Al-Mouasherji is the Chairman of the Al-Maousherji Group. The group operates across various sectors, including food and beverage, paper and packaging, printing, real estate investment and management, and publishing. It owns and operates a chain of franchised McDonald restaurants. COFE App Founder and CEO Ali Al-Ebrahim said: “We are a group of coffee enthusiasts who – in the age of Tesla, Uber, and Airbnb – got frustrated with old-world ways of ordering coffee. So we set out to streamline the coffee ordering process and bring to our mobiles phones and everyone else’s as well, aiming to bring the coffee culture and technology together in one unified platform. Today, we have a fast-growing state-of-the-art app that enables customers to order their favorite coffee from their favorite coffeehouse, and an app that has the potential to transform and grow our vendor’s revenue streams. Needless to say, it’s been a very exciting year for us at COFE App, and as we make this announcement today, and welcome our new investors on board, we are more focused than ever on growing our customer base both in Kuwait and abroad”. COFE App enables customers to order and pay for their coffee, and choose from multiple delivery options, including fast delivery to their office or home, counter pickup, and car pickup service. The entire selection and purchasing process takes place in the app, which offers comprehensive menus and drink customization options. The coffee category is one of the world’s fastest growing beverage categories worldwide, with over $600 million invested in coffee-related startups globally for the first seven months of 2018 – almost four times the investments of 2017 according to data from CB Insights, who are expecting the figure to hit $1 billion by yearend. The sector has also witnessed a series of a high profile, multi-billion dollar merger and acquisition activity in 2018. High profile examples include Coca Cola Co’s $5.1 billion acquisition of Costa Coffee and JAB’s $2 billion acquisition of Pret-a-Manger.